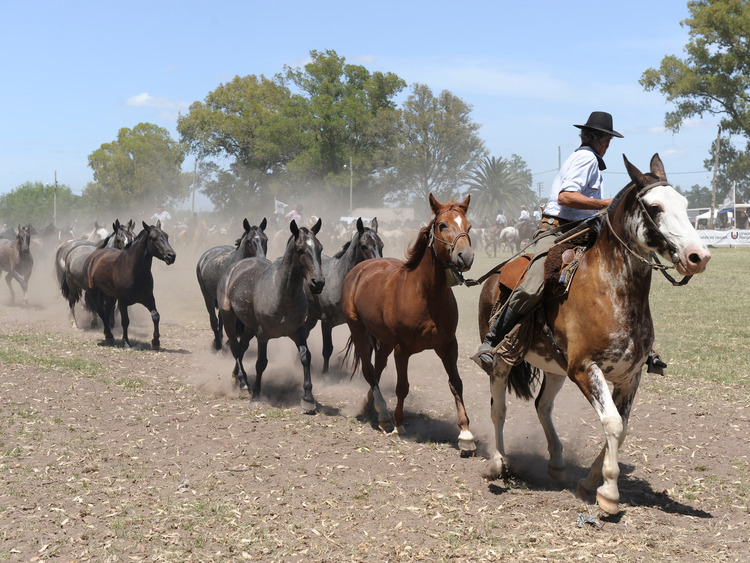 This full-day excursion is a unique opportunity to come into close contact with the Argentinian gaucha culture, discover its music and traditional dances and take part in a real gaucho festival in an ancient rancho in the province of Buenos Aires. A coach transfer from the port of Buenos Aires takes us to an Argentinian rancho, a typical South American farming estate, where we are welcomed by the host family with empanadas (with meat filling) and excellent local wine. In the rancho, we have some free time to go riding, walk around the Argentinian pampa and admire the wonderful garden and residence, with its unique style combining colonial and Italian architectural elements. It is then time for lunch with a typical asado (mixed grilled meat) with chorizo, steaks, salad, dessert and coffee. In the afternoon, we watch a folkloristic show with Argentinian singing and dancing, then we attend the historic Corrida de Sortija (an equestrian game of Medieval origin) and carrera cuadrera (horse race), two typical shows where gauchos** display their abilities. The excursion is reserved for guests who do not disembark in Buenos Aires. The excursion duration may vary depending on traffic conditions. The itinerary may be subject to change.